Hide deals from seller "GNC Hoffman Estates & Elmhurst"
Limit 1 per person. Valid on Mega Men® multivitamins or Women's Ultra Mega® multivitamins. Each bottle contains 90 pills. Valid at Hoffman Estates or Elmhurts locations only. Promotional value expires 30 days after purchase. Summers are full of barbecues, margaritas and late-night snacks. Combat your unhealthy summer habits with this deal for 52% off multivitamins from GNC in Elmhurst and Hoffman Estates ($19 value). Select a 90-count of Mega Men® multivitamins or Women's Ultra Mega® multivitamins. GNC is a national leader in the nutritional supplement industry, offering a variety of products such as vitamins, protein and natural food. They set a standard with honest labeling, safe ingredients and potent products. GNC keeps up with advances in nutritional science and products, and also maintains a strict standard of quality. The Women's Ultra Mega® multivitamins promote breast and bone health and support hair, skin and nails. Mega Men® multivitamins support the immune system and maintain colon health. Stay healthy with this Independence Day deal. 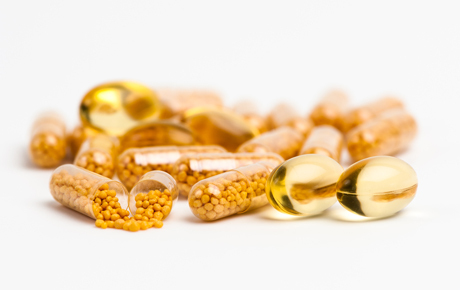 A nutritional supplements business with locations in Elmhurst and Hoffman Estates.